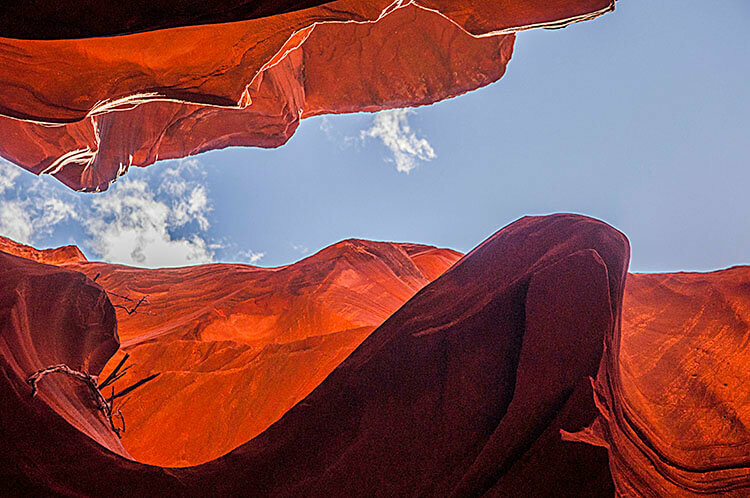 The stunning interior of Antelope Canyon allows you to experience many extraordinary views, some of them by occasionally peering skywards. 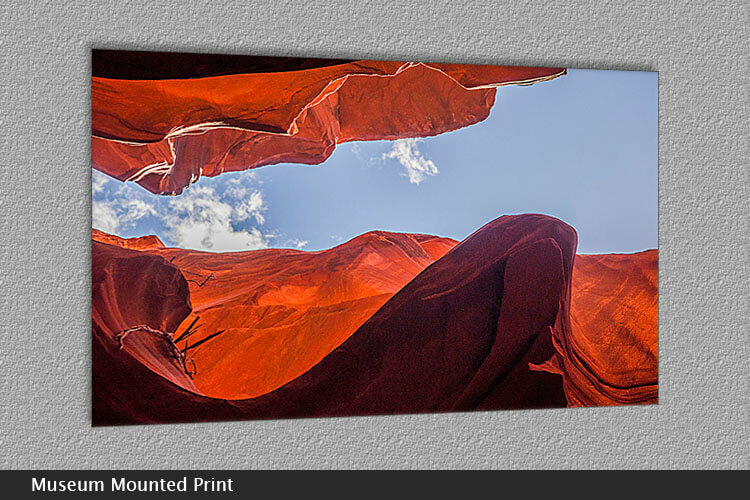 The thin strata of ‘flowing’ Navajo sandstone is caused by millennia of flash flooding and erosion leaving what is now one of the most magical places to visit, experience and photograph. Lower Antelope Canyon photography tours are available from Dixie Ellis Tours and well worth taking. Watermark removed on all purchases. 30-day return policy offered. See Terms and Conditions for details. Need help selecting the perfect display option for your space? For questions or personal design assistance contact us by email or from the contact form. 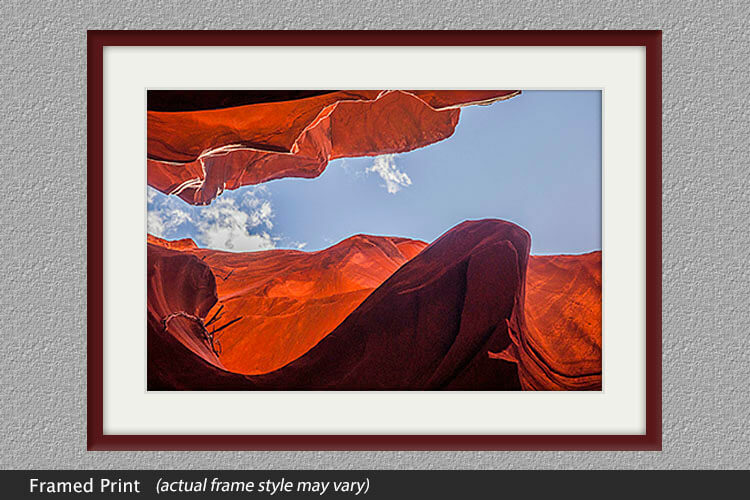 Custom framing options are available. Print sizes are based on the image dimensions or format.